New Location- We tried out the Christmas Goose and everyone seemed happy to be back! We are going to continue to have our meetings there. We are also going to help them purchase chairs so that there will be no need to have everyone bring there own anymore. November and December Meeting dates- November meeting will be held on November 29, which is the 5th Wednesday. The December meeting/Holiday Party will be held on December 20. New dues amount- Membership dues are being raised for the 2018 year. The new cost is $40 if you renew/join by December 31, or $45 starting January 1. The main reason for the increase is because we now have to pay for our meeting space each month. We also want to make it clear that we have to pay the National MQG a significant portion of the dues we collect. We don’t keep it all. We are currently taking renewals for 2018. The renewal form can be found by clicking here. QuiltCon– Block packs were handed out in September for our QuiltCon Charity quilt. If you took a block and didn’t return it yet, please bring the completed block back to our next meeting. In the aftermath of the Strip shooting, there have been a ton of people reaching out asking how they can help. 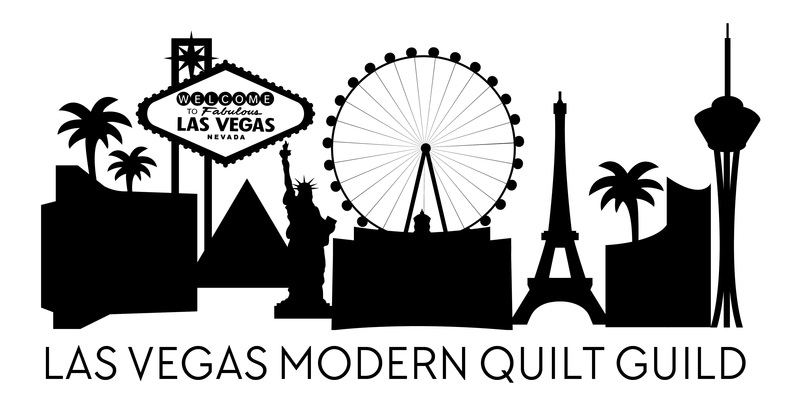 We have put together a quilt drive for #quiltsforvegas. 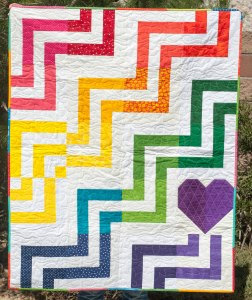 We are requesting completed quilts, quilt tops, blocks, binding, backing, batting (or anything else you can think of!). In lieu of a block lottery this month, we are asking you to please help out with more of the #quiltsforvegas blocks/tops (see above). Reminder! The deadline to finish was October 25th. If you did not turn in your mini, please contact Sara ASAP (or reply to this email). She is mailing the quilts very soon! Name Tag Challenge-Our guild has grown so much this year, it’s amazing but sometimes we have a hard time putting faces with names. I know I do! To help with this we are doing a name badge challenge. Everyone who wears a DIY name badge, made in the last six months, to the November meeting will be entered into a drawing for an enamel pin! Just a little bling for your new name badge! We will have several pins to give away too. There are tutorials and inspiration on the website. Holiday swap- For our December meeting we will be having a fabric swap! What you do is buy a 2 yard piece of fabric and cut it into 8 fat quarters. Bring them to the meeting and we will swap them there! There are two categories- Solids and Low Volume. For the Low Volume category we are looking for Whisper Voice (See the link below for what that means) fabric that reads white. These are two separate swaps and you can participate in one or both. All fabrics must be quilt shop quality, and quilting cottons. Sorry, no linens or home dec fabrics. Melissa Curley showed us some examples of low volume fabrics. Jen of Heritage Threads has information about what low volume means. 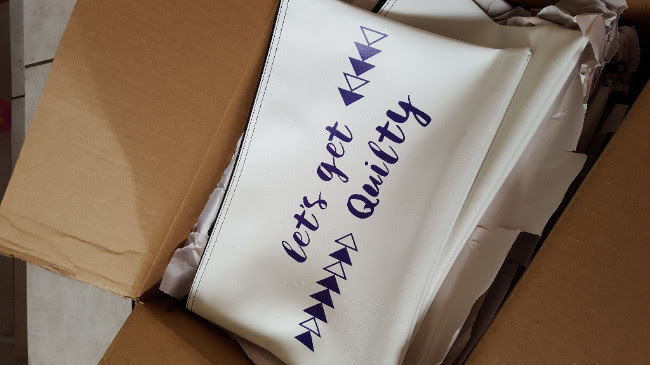 We still have a our Project Bags available for sale! They measure approximately 11×16 inches and they have a zipper at the top. The back of the project bag is plain white. They are available for $15 each, or 2 for $25. Cash or checks only, please.